Summer was made for dinner outdoors. 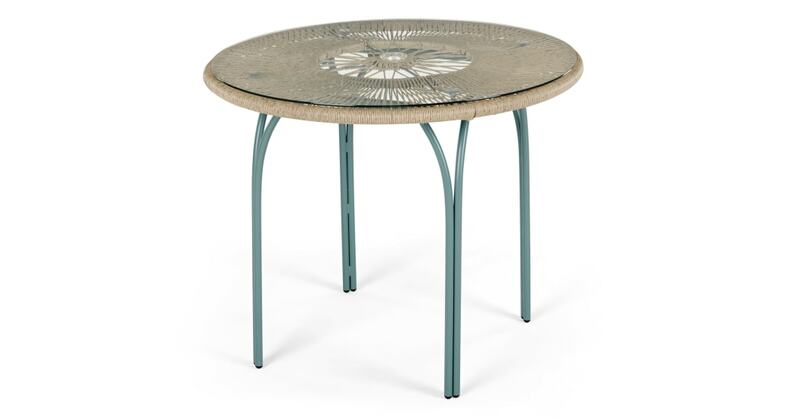 Do it in maximum style with this round, 4-seater outdoor dining table. In woven poly rattan with a blue metal frame, it's an on-trend look. Love the retro look? The Lyra range is the ideal addition if you're looking to create a retro looking space. This table will comfortably seat four people – check out the matching chairs. There's also a hole for a parasol if you need a little shade. The glass top makes it easy to clean.